Mary Ann de Stefano has an article in the current issue of The Florida Writer entitled “Fake Rules and What Really Matters”. She begins by saying, “Many of those so-called grammar and punctuation rules that people are pushing in online forums are not really rules at all. (No matter what your high school English teacher told you. )” The article is light-hearted and I quote from it here. Ms de Stefano is an independent editor with over 30 years of experience in publishing and consulting. 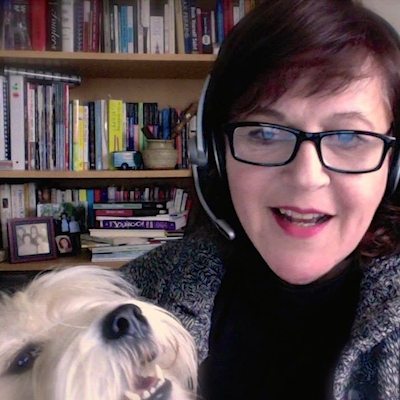 She works one-on-one with writers, organises writing workshops and designs author websites. “If writers are not debating about the serial comma and the number of spaces after a period in online discussions, they’re often railing against the use of the ‘singular they’ in modern usage. (The serial comma is a comma placed before a conjunction – usually ‘and’ or ‘or’ – in a list of three or more items. For my part, I use serial commas and two spaces after the end of a sentence, although my publisher doesn’t approve of the latter.) Critics say that ‘Somebody used the milk and they didn’t put it back in the refrigerator’, should be written, they say, as, ‘Somebody used the milk and he or she didn’t put it back in the refrigerator.’ The former construction, they say – even though it is less awkward and perfectly understandable – is evidence of a decline in our educational system. But the fact is that the singular they has been used for hundreds of years by the likes of Chaucer, Lewis Carroll, Walt Whitman, Shakespeare, Jane Austin, Oscar Wilde, and many more famous authors. You may not like the singular they, but it is not wrong to use it, except, perhaps, in formal writing. I have to admit that I bought a copy of Fire and Fury inside the Trump White House. I’m not a Trump fan and I wanted to see how bad it really is. 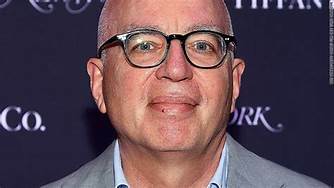 The book is written by Michael Wolff, based on over two hundred interviews and and two hundred days in the White House, ending with the appointment of General John Kelly as chief of staff and the departure of Steve Bannon.. Mr Wolff claims that he had the agreement of the President to be a sort of fly on the wall, beginning during the campaign, though the President has denied ever speaking to Wolff. The reader has to decide for herself whether every word in the book is the unvarnished truth. There are relatively few direct quotations from named individuals. Further, there are almost no kind words for anyone in the book: can everyone in the White House be that bad? However, the preponderance of hear-say evidence in the book points overwhelmingly to the President’s short-comings in the vital learn-analyse-act-review cycle that leaders must master to be fully effective. In particular, the Learn and Analyse stages are almost void. He does not read memoranda longer than two pages (and those, reluctantly). His preferred style of information gathering is watching television and speaking on the telephone with friends. Reportedly, he has an aversion to ‘experts’, and tends to be swayed by the last person he spoke with on the subject. Analysis is also a weakness (though to put it in context, perhaps Obama sometimes seemed to engage in analysis-paralysis), as numerous examples were cited of the President referring decisions to others. Act, unlike Obama, is one of Trump’s strengths (though this is not mentioned in the book); one has to only count the record number of presidential orders that he has signed. And, as to Review, no examples are given but, in fairness, it may be too early to review many of the actions taken. Overall, one has the impression of a man with an enormous, but very fragile ego. If one has been reading the daily newspapers and watching the evening news, there isn’t much in the way of surprises in this book. However, until reading it, I did not appreciate the extent to which Trump did not expect to win (nor did he want to win) the 2016 election. The win he wanted was all the publicity with no follow-on consequences. Today’s Daily Telegraph has an article captioned Man Booker rule change has lost us sales , say publishes, and the caption reads: US dominance has hit Commonwealth writers who are falling off shortlists. Not that my opinion had an iota of influence, I was opposed to the rule change in 2014, which opened the prize to writers from any nationality, who publish in English, on the basis that there are a large number of US literary prizes, so there was no need to open another prize to American writers. I also felt that the Man Booker was a unique prize open to Commonwealth authors. 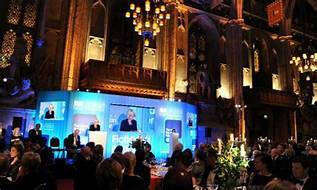 Finally, given the quirky judging standards of the Man Booker Prize Committer (see my most recent post), it seemed inappropriate to me that the Booker should be positioning itself as the top global prize in English literature. Now the publishers have weighed in with their own arguments regarding the effect of the rule change on the volume of books sold, and, by extension, on their bottom lines. “About 30 publishers are understood to have signed a letter urging the trustees to the Booker Prize Foundation to reverse the decision, saying the change risked creating ‘a homogenised literary future’ dominated by American culture. ‘The rule change, which presumably had the intention of making the prize more global, has in fact made it less so by allowing the dominance of Anglo-American writers at the expense of others; it risks turning the prize, once a brilliant mechanism for bringing the world’s English-language writers to the attention of the world’s biggest English-language market, into one that is no longer serving the readers in that market’ it says. “Johnny Geller, of the Curtis Brown literary agency, said the letter was ‘a long time coming’ and that ‘widening the entry requirements to include US writers has resulted in weakened sales on both sides of the Atlantic’. Clearly, the rule change has reduced diversity, and one is prompted to ask why the rule change was felt to be necessary: was it to raise the profile of the foundation at the expense of sacrificing its unique position? The point about the impact on sales is interesting, and the article does not mention whether it was addressed in the foundation’s response. Presumably, the cause of this sales decline is that Man Booker prize recognition does little to increase the sales of winning American authors: they already have recognition through other awards and bestseller lists. But, non-recognition of Commonwealth authors impacts their sales on both sides of the Atlantic. It will be interesting to see how much power the publishers have in this situation!